The number one question that I got when spraying a new home was “is this pest control pest friendly”? The second most popular question I got when spray a new home is “Is this pest control kid friendly”? As far as Safe Ant Killer and Pest Control Products the new popular one is 100% Food Grade Diatomaceous Earth (Fossil Shell Flour). 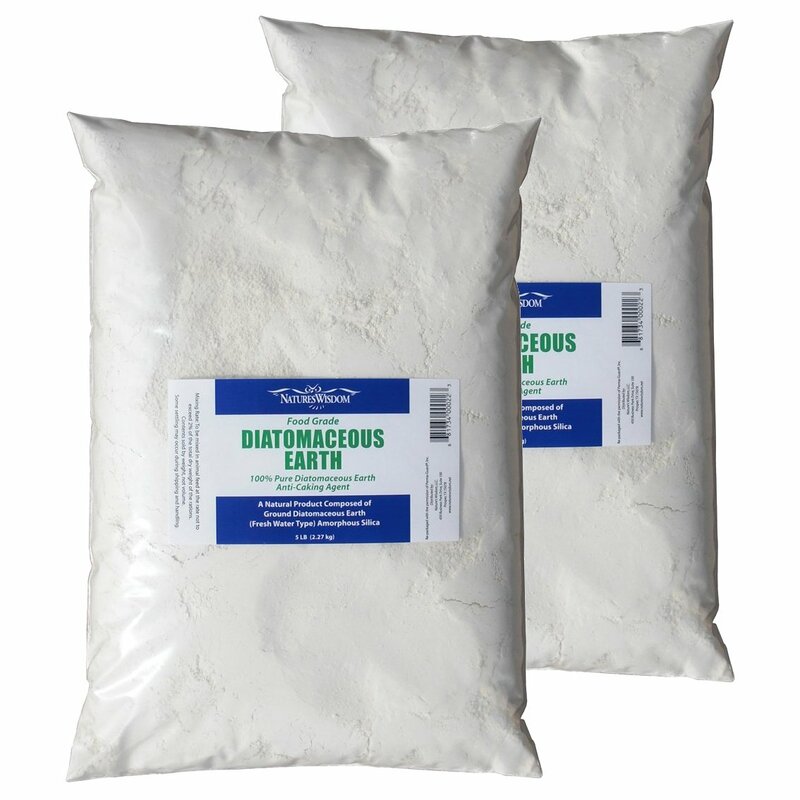 Diatomaceous earth is a naturally occurring soft white rock that can easily crumble into a fine white powder. It consists of fossilized algae remains and is used as a mild abrasive in toothpastes and some medicines. It is also used as an insecticide and ant killer. It is absorbed by the ants exoskeletons and causes them to dehydrate. It is very popular and effective for killing bed bugs and works decently on ants. I would definitely recommend it to my naturalist customers and those that want chemical free ant killers. The reviews on this product on Amazon are excellent for bed bugs. 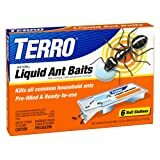 There is not much mention of effectiveness on ants. However, one person found that it was successful in killing Argentine army ants. It is applied much the same way that the Terro Dust is. You can probably use it around pet eating areas without much issue. - Most of the products that are available for commercial use AND that are used by professionally licensed pest control technicians are generally safe for pets if used as directed. Used as directed is the important term. When I was assigned as a managing tech, I got a couple from an upset homeowner who had a sick dog after his home had been sprayed. I asked him what happened. He said that he asked the pest control tech to spray his dog for fleas. So the tech took his wand of spray and soaked the dog. The tech was fired and the owner was reimbursed. Both were stupid. So, when you spray your home, tie up your dog. 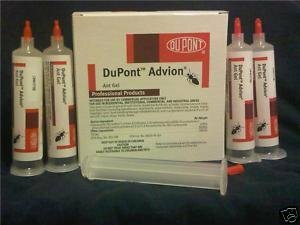 The label on DuPont Advion gel lists the product as “pet friendly as long as used as directed.” When we used this gel, we would make sure to use it in cracks and crevices of homes, high in cupboards, closets, near nests where pets couldn’t get to. A pet may be at danger of getting sick or dying if it were to lick this gel or ingest a lot of it. So, when you use it, just keep your pets away from it. 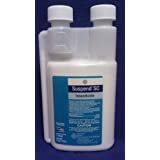 Suspend SC insecticide is a great barrier protection. Used it all the time. We were trained that when home owners had pets that they were to isolate their pets for 24 hours from when the spray was applied to the foundation exterior of the home. I never had one problem with sick pets or animals from this insecticide. The label indicates safe for pet use. I would agree. The worry we always had when placing bait stations in a home with pets was whether the pet would mistakenly get into the bait station. So, to help reduce the worry we would use the bait stations in high locations or where the pet would be unlikely to get to them. A Glance of Terro’s Corporate Website states that Terro “can” be used safely around pets and children. I have used examples of pest controls that are designed to be pet friendly when used properly. I would say that the vast majority of the ant killers that I have reviewed on this website are designed to be pet friendly. I would feel comfortable using these products at my home with my dog. Just take care when using them. Don’t use the pest control in areas of your home where your pets spend a majority of their time. We got this call all the time. “I have ants coming from where my pets eat”. Ants love food, including dog and cat food. There is no way that I would go into a home and spray the pet food, or near the pet food. I would not try gel or bait stations either. It is just not a safe practice. Instead, I would instruct the homeowner to move the pet location to a new temporary place (3-5 days). I would then work to rid the pet home of ants. After the ants were gone, I would thoroughly clean the area and move the dog back. Yes, it does require some work but it is the best practice for keeping pets safe. What about Fish and Ant Control? I didn’t spray inside rooms that had fish bowls/tanks. Fish are super sensitive to any pest control. I can’t even recommend any Fish Friendly Ant Killers. You might have to make the Ultimate Decision. Kill the Ants or Kill my Fish.